We usually think of garden maintenance as a summer priority when lawns, weeds, and plants grow vigorously but even in winter a garden may deteriorate without regular maintenance. Proper maintenance, however, costs both time and money. Fortunately, there are shortcuts but these require knowledge and the right materials and equipment. This Certificate is a 600 hour course comprising of core studies (general horticulture) and stream studies specific to ornamental horticulture. - gain practical experience and skills. - develop general and broad-based skills in horticultural practices and plant identification. - build more specific knowledge in areas of ornamental horticulture including garden maintenance, turf care, arboriculture, and landscaping. - connect with the industry as you study, building contacts and networking skills. - CORE STUDIES - half of the course which is 300 hours. Every student must complete these studies. - ELECTIVE STUDIES - this involves a further 300 hrs of study going into greater depth in the areas of the students choice, growing fruit and vegetables, arboriculture, turf care, and some aspects of landscaping. - Evaluate the maintenance needs and develop a plan for maintaining a garden. - Select and maintain tools and equipment appropriate for use in garden maintenance. - Maintain appropriate nutrition requirements for healthy plant growth. - Control weeds in a garden. - Use weedicides in a safe and effective way. - Use chemical pesticides safely and efficiently. - Maintain lawns in a healthy and well maintained condition. 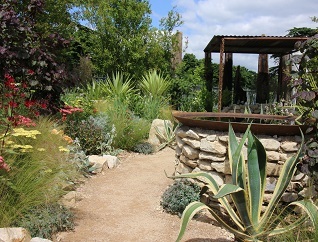 - Describe options for managing water in a garden. - Determine actions that should be taken to maintain a variety of different plants. - Describe measures to provide healthy trees in different situations, including appropriate plant selection. This course is the ideal course for people who wish to work in horticulture. Through the cores studies it provides a solid foundation in horticultural principles and practices, and through the stream studies, it allows students to develop specific knowledge in the area of horticulture of most interest to them.